Londonderry is the largest town in what we fondly call “the Mountain Towns”*, and by largest we mean all 1769 residents (according to the 2010 census) and encompassing about 35 square miles. Londonderry is the hub of the Mountain Towns and home to the Flood Brook School (where we send our children to elementary and middle school), the Mountain Valley Medical Center (our local health clinic) and the Mountain Marketplace (shopping, groceries, bank, hardware, etc.). 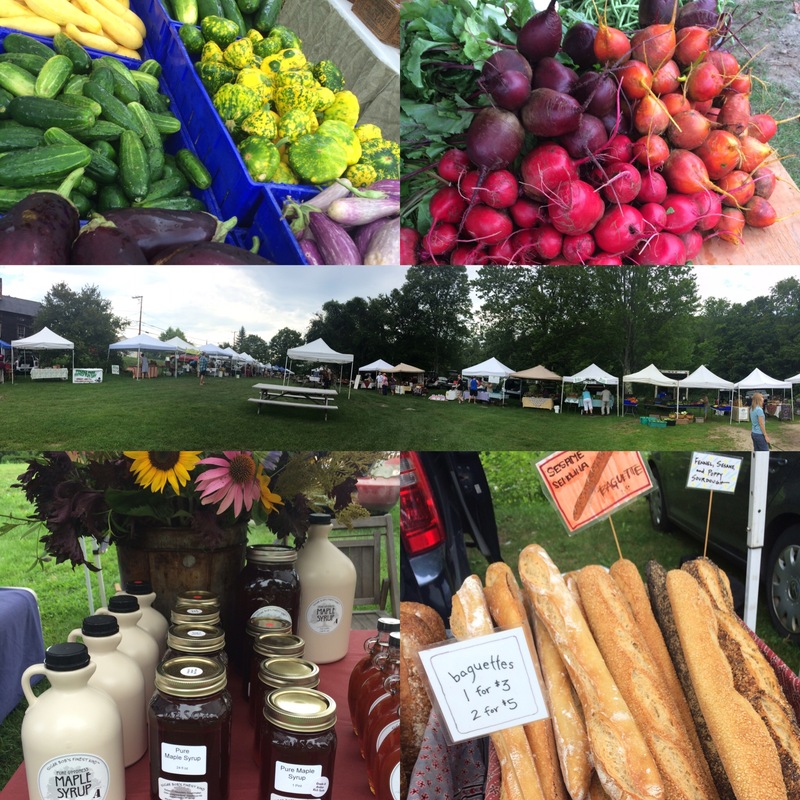 There is also a fantastic farmers' market in the center of town on Saturdays between Memorial Day and Columbus Day, featuring some of the best locally-grown produce you'll find anywhere, maple syrup, locally-raised meats, all sorts of food products, fresh-baked breads, pies and pastries and artists selling wares and gift items. Londonderry is at the northwestern corner and is among the more rural towns of Windham County. Enjoying outdoor activities is a highlight for those of us living in and visiting Londonderry and there are lots of fun spots to wander and explore – Lowell Lake State Park, Gale Meadows Wildlife Area, and the West River Trail are some favorites – and adventurous types flock to Magic Mountain Ski Area for old-fashioned skiing (i.e., steep and not overly-manicured). The town consists of two villages, Londonderry (formerly called North Derry) and South Londonderry. The aforementioned services and businesses are all in Londonderry and the town office, library, and town hall are all in South Londonderry. Both villages are served by their own little post office.